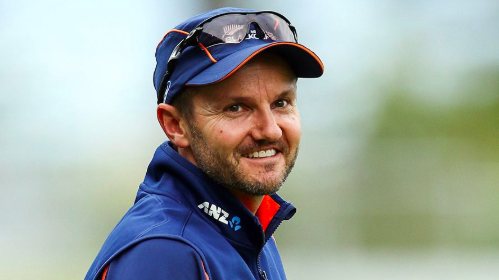 Mike Hesson has announced that he will be stepping down as Blackcaps coach citing family reasons. The 43-year-old, who guided the team to new heights across all three formats, will resign as coach at the end of next month, less than a year out from the ICC World Cup. He made it clear in a statement that he wanted to spend more quality time with his family and said he no longer felt fully committed to the role for another 12 months. "I know what's required over the next 12 months, but if I'm honest, I don't feel I have the capacity to give the job what it deserves," he said. Hesson made the announcement at a press conference on Thursday in Auckland. His resignation would take effect at the end of next month. New Zealand are currently ranked fourth in Tests and ODIs and third in T20s.